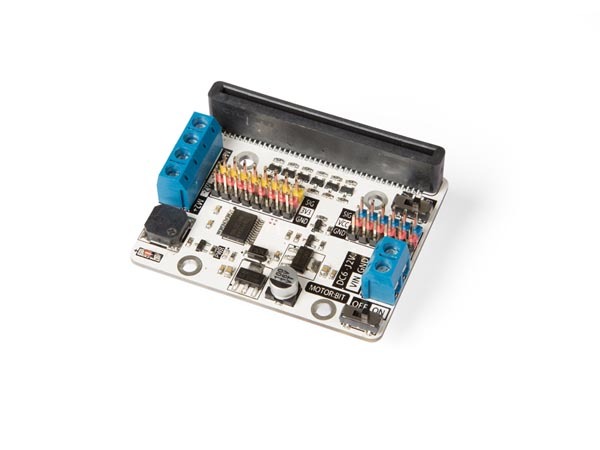 This motor shield is compatible with micro:bit® and can be used to drive 2 DC motors at the same time. On top of that, you don't lose your micro:bit®'s 14 channel I/O ports because this little motor shield extends them. The motor driving chip is a TB6612 and drives a maximum of 1.2 A current.